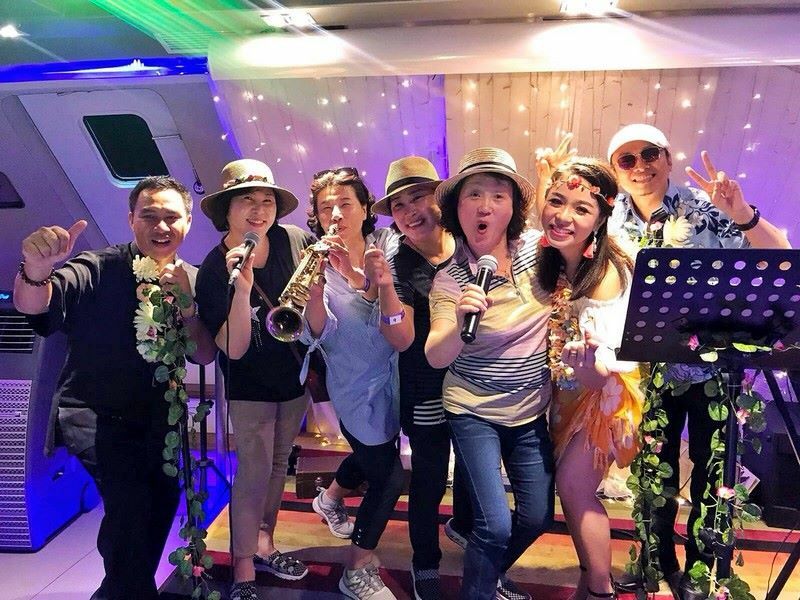 Gather up your crew and head out to the water for a lavish offering of stunning ocean views, sumptuous buffet dining and upbeat live entertainment on board our city night lights cruise. 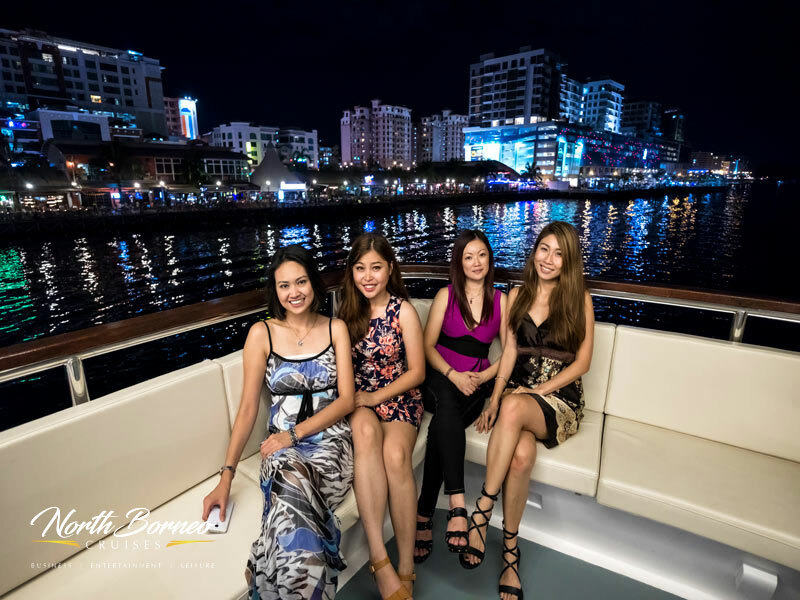 Be mesmerized by dazzling views of Kota Kinabalu’s city night lights as you glide along the coastline then hit the dance-floor for some unforgettable fun. Surcharge applies to guests who wish to have a guaranteed private table by the window. 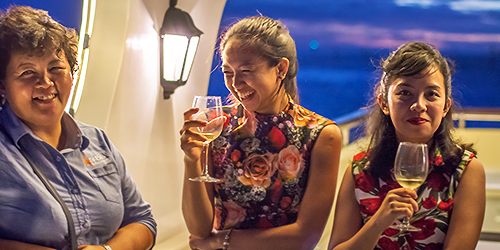 Your special and unforgettable dinner out at sea begins at Sutera Marina Jetty. 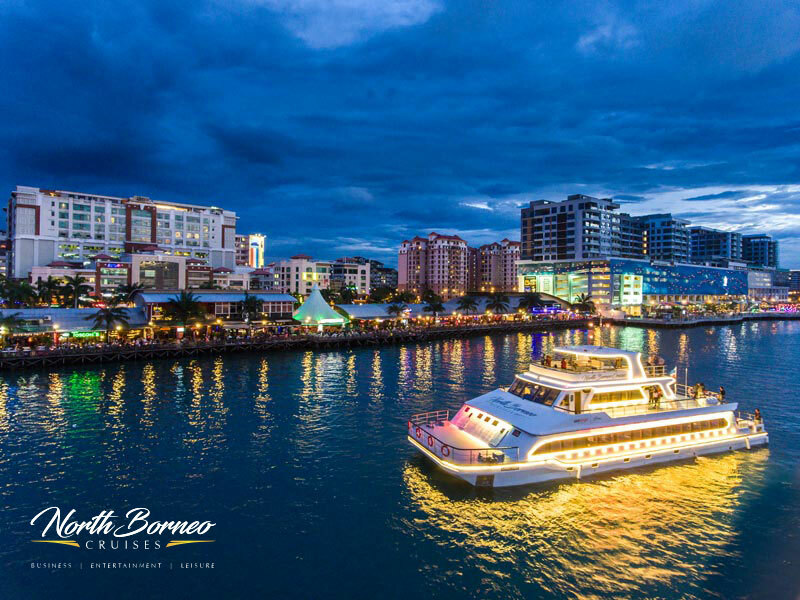 As the sun sets and the city lights up, step on board and get ready for a memorable evening on our North Borneo Cruises. 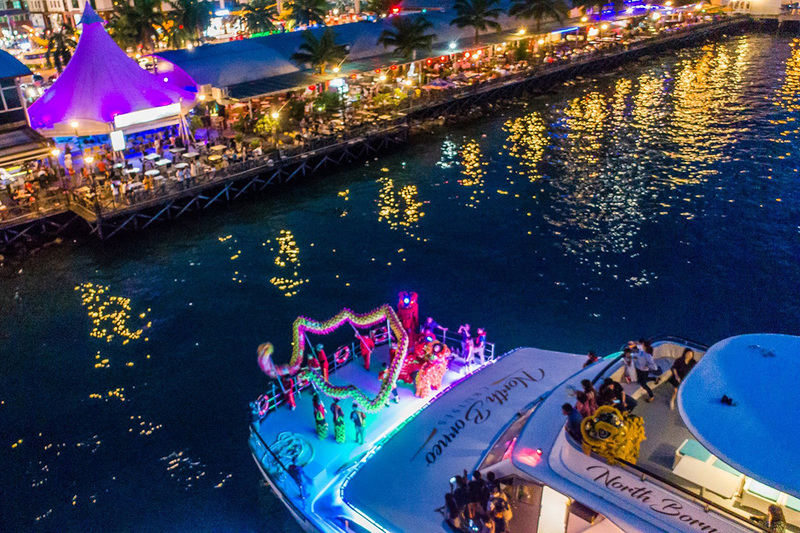 Bask in the glowing panoramic views as you sip on your welcome drink and start cruising along water villages and tropical island paradises. 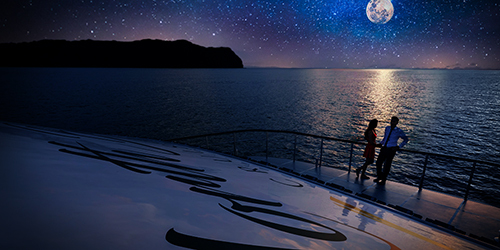 The wide expanse of the inky black heavens above and a gentle sea breeze greets you on the upper deck. 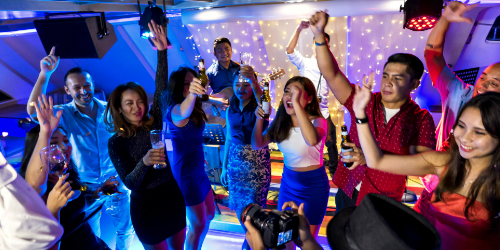 Dine and dance the night away under the starry skies, as you take in the sights and sounds of the city’s waterfront and shimmering skyline. 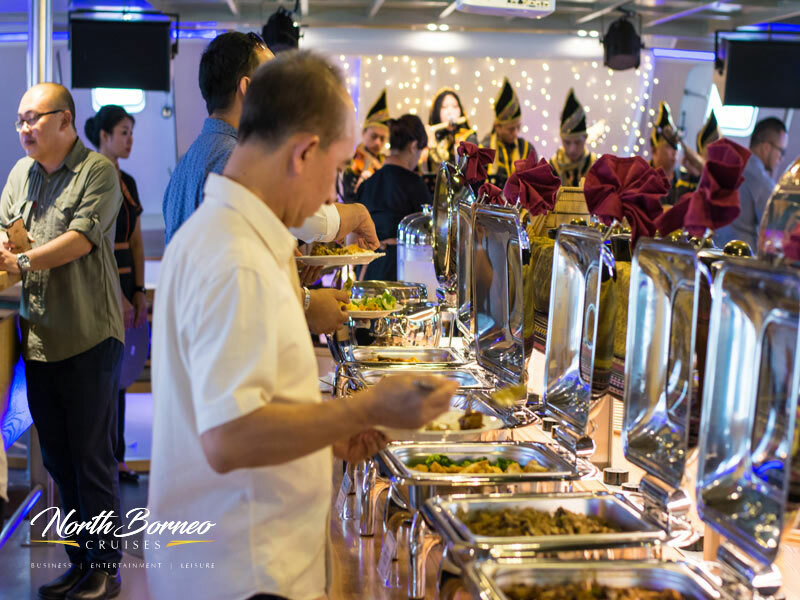 Savor our fresh and mouthwatering international buffet while our talented live band provides the perfect soundtrack for your evening. 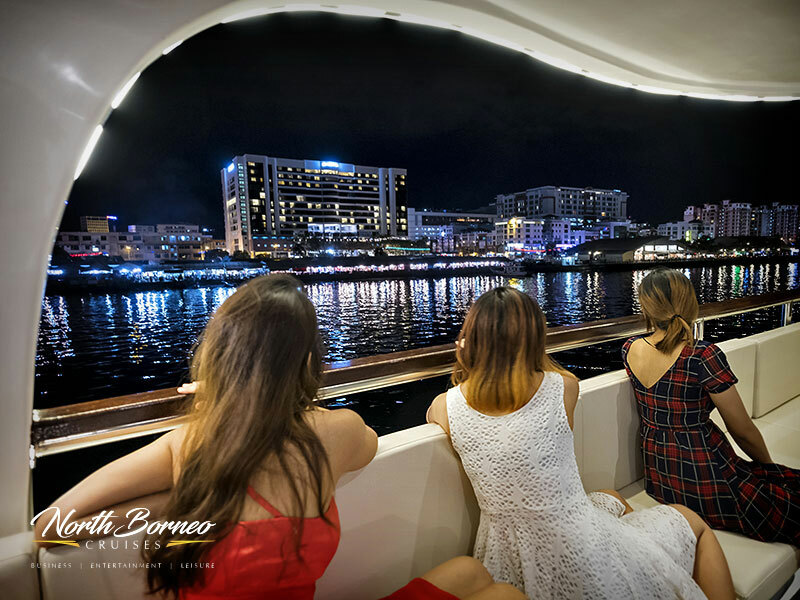 The finale to a perfect evening occurs as you cruise by Kota Kinabalu waterfront to see the beautiful city lights, from an angle you have never witnessed before. 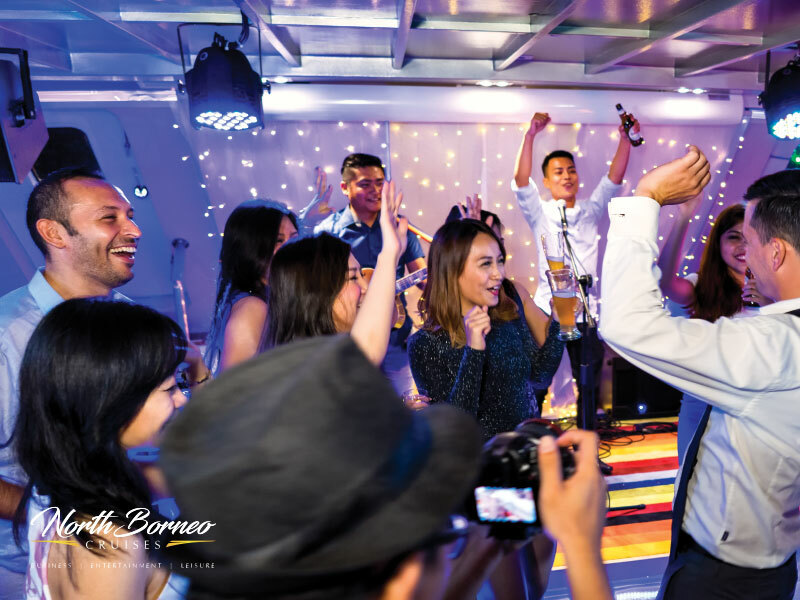 You will disembark from the brightly lit cruise at the Sutera Marina Jetty, pumped with good vibes. 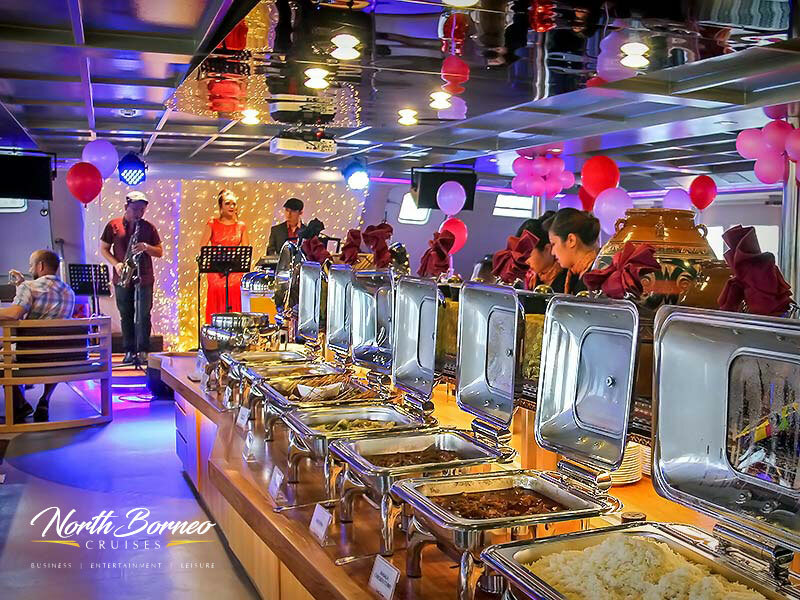 All North Borneo Cruises rates are inclusive of 0% Goods and Services Tax (GST). 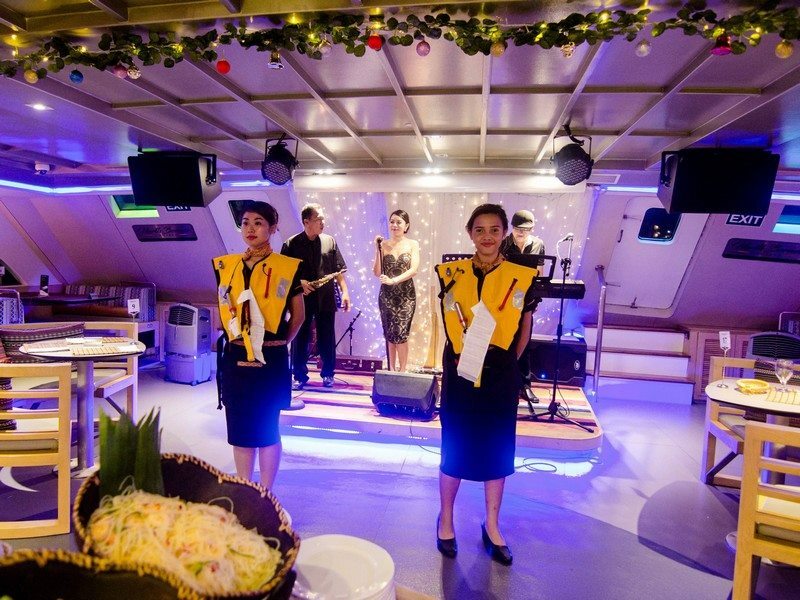 Tables and Seats are allocated onboard the cruises, sharing-table basis. 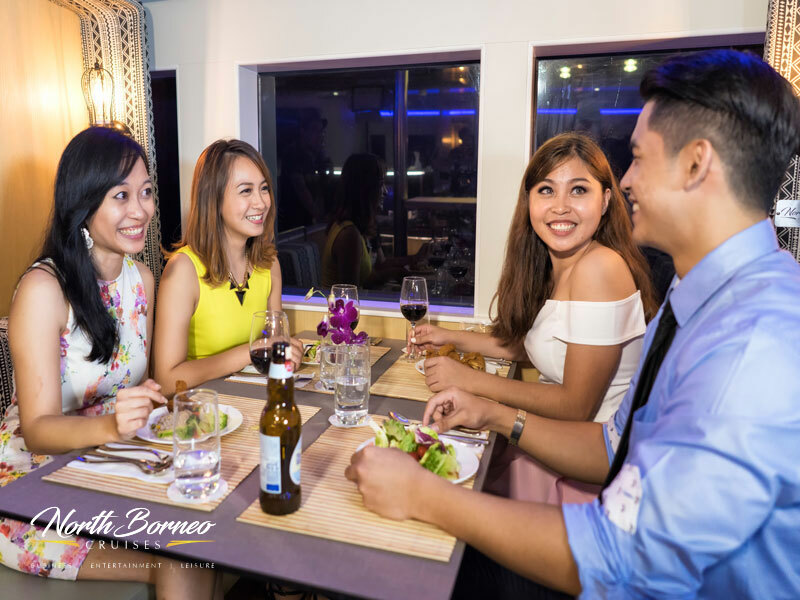 Table seating arrangement is based on 3-4 persons per table. 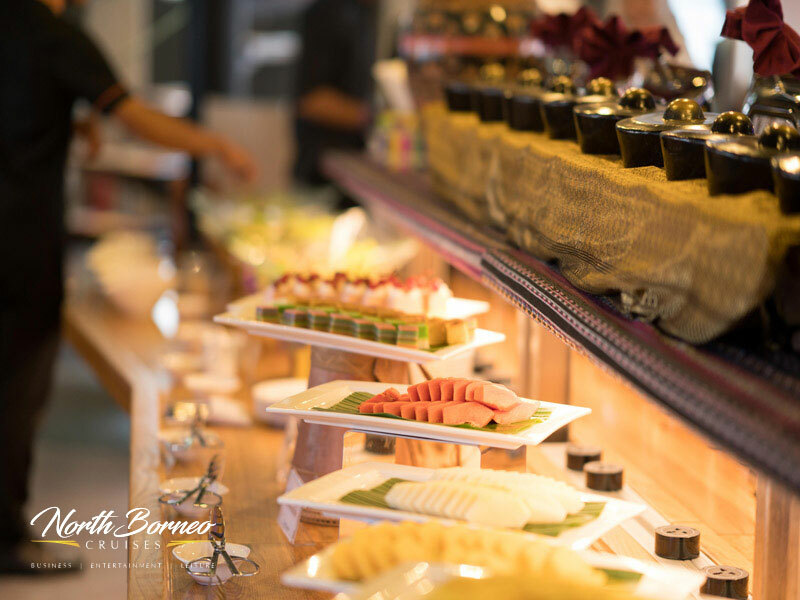 For couples who wish to have guaranteed private table by the window, surcharges of MYR 300/table will apply. 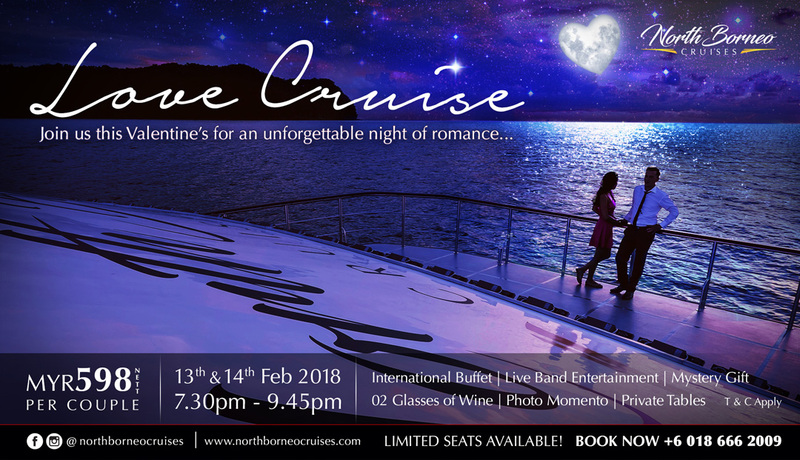 Single traveller bookings are accepted. Additional Peak Season Charges are applicable during Daily Departure Sessions for Public Holidays & Eve of Public Holidays. 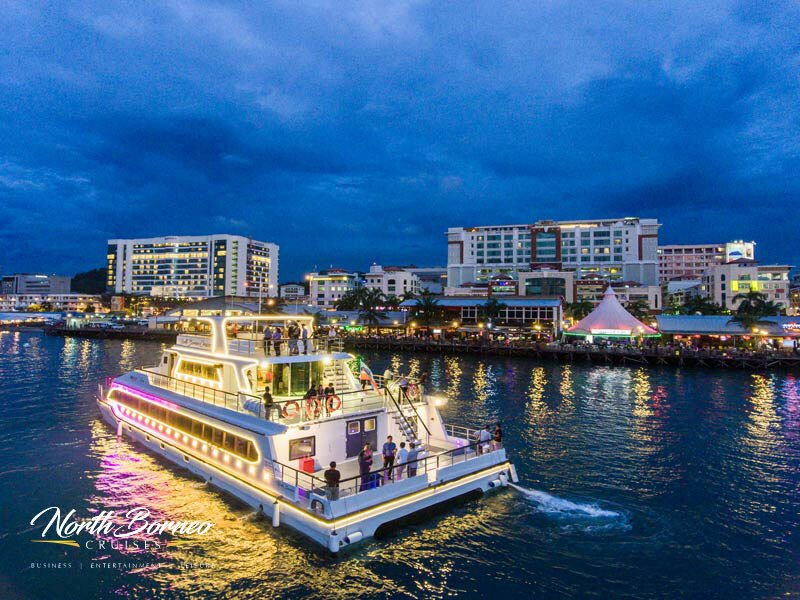 Optional Return hotel transfers (KK City Hotel/Sutera Marina Jetty/KK City Hotel) are available at MYR 30/pax. 1. Child rate is applicable for Children aged between 3-11 years. 2. Infant Rate is applicable for Children aged between 0-2 years. 3. No seats will be allocated for Infants. 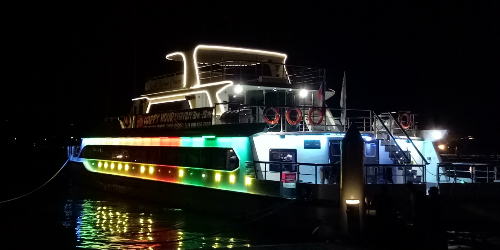 Guests are to arrive at Sutera Marina Jetty at least 15 minutes prior to cruise boarding time. We're here to chat about your next tour with us. 9.00am - 6.00pm (GMT+8) Monday through Friday. Otherwise, email us anytime. We will be working hard on your request and shall get in touch with you with more details as soon as possible or within 24 working hours, whichever comes first.